Want to connect with Teri? Hi! 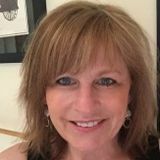 My name is Teri Burgan and am a long-term resident of Charlottesville, VA. I have raised two daughters, one of whom will be going to college in Ireland in the Fall. Both daughters and I are nature/animals lovers and have a long history of fostering for the SPCA, pet transport, pet sitting for friends and neighbors, etc. As my girls are no longer in need of their 'old mom' at home all the time, I am seeking housesitting positions which would allow me some time to work on future life plans while giving someone the peace of mind that comes with knowing their home and beloved pet is being cared for and loved as my own. Caring for and cuddling animals gives me great joy and - other than snakes (sorry) I love just about any animal I meet. I am also experienced at medicating and providing any tlc necessary. A cat or dog in my pillow? No problem! I am responsive to calls and emails and am happy to supply recommendation from others who know me well. I would love a long term sit as well as shorter term. I can't wait to introduce myself to you so you can start packing with no worries about home!